South Beaverton is better than it showed against Southwest, particularly defensively. 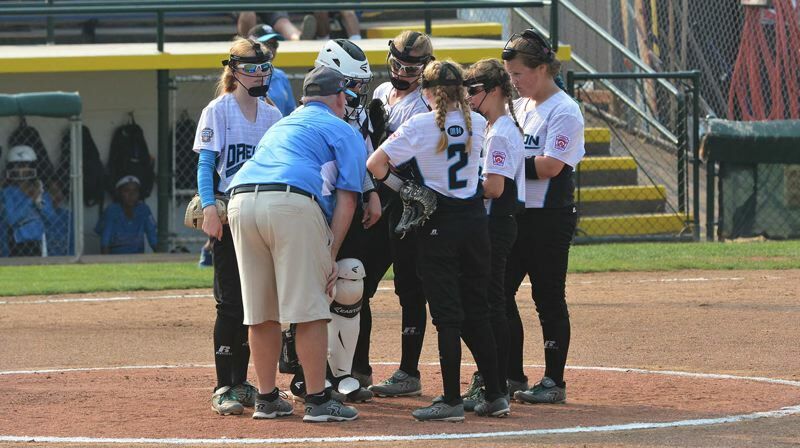 Misplays and miscommunication hampered the Oregon District Four champion's chances at making a big statement against one of the nation's top programs in the first game of pool play action at the Little League Softball World Series on Aug. 9. But from the disappointment arose clear-headed reasoning. It was one just one defeat that in the grand scheme of things didn't carry much bearing. Pool play offered three more chances to get a win or two and advance to the elimination action on Monday — a trio of contests for ODF to find its footing. And in a tighter-than-anticipated battle with Asia-Pacific on Thursday, ODF proved it can play with anybody when it gets the sort of impressive pitching and defense it did at Alpenrose Stadium. Receiving an elite complete game outing from pitcher Amanda Peterson and outstanding defensive plays from third Chloe Arbow and shortstop Ashley Goodale including the game-ending double play, ODF put itself in the running for one of the Pool A's four highly coveted elimination round spots with a 1-0 win over Asia-Pacific. "We knew this game mattered a lot to us and we had to get a win," Arbow said. "That encouraged us to tighten up our defense and go for those balls that were dropping, go for those balls that you thought were impossible to get. We started to get to those." "We realized every ball wasn't going to come right to us and it wasn't going to be an easy game — it was going to be tough," Goodale added. Head coach Brenda Peterson said ODF needed to "reverse the momentum" of the Waco setback going into the Asia-Pacific square-off and looking ahead to the weekend. And while Thursday's triumph over the Philippines wasn't in the "must-win" category, there was certainly a sense of urgency amongst the players who are hoping to lock up one of the 'As top-two seeds. ODF's only score of the game came in the top of the second when Allison Olivo reached on an infield single and Erica Eidson drilled a RBI double to deep left-center to give South Beaverton a 1-0 lead. The rest of the contest was a pitcher's duel between Peterson and Asia-Pacific's Mary Joy Alpitche. Alpitche pitched a complete game and yielded just five hits and zero walks. Peterson allowed just three hits in six innings of work while striking out six and getting the sort of stellar defensive support she's accustomed to. In the bottom of the third, Asia-Pacific's Neavia Marie Emborniza doubled down the first base side and advanced to third on a throwing error to lead off the stanza. Anne Frensbelle Patricio came up next and put down a bunt down the third base chalk. Arbow, who was in on the dirt expecting a bunt, fielded the bunt attempt cleanly. As Emborniza danced down the third base line, hoping to go if Arbow would throw across the diamond and allow a clear path to home plate, the ODF third baseman coyly pumped faked a throw to first, turned toward third to force Emborniza back to the bag and fired a seed to the covering Goodale who slammed the tag down for the second out of the inning. Arbow and Goodale's cagey smart connection wiped away the potential tying run. And Peterson followed by coercing an inning-ending groundout to preserved the one-run advantage. "Brenda's told me to try that move before and that was the perfect situation to do it," Arbow said with a smile. "I've wanted to do that for a while and I've been practicing it. I knew right away (the runner) was going to go (for home). I just had to calm myself down and make the play." The next two-and-a-half innings went by quietly as neither team was able to get a runner past second base. And with the game still in a 1-0 standstill heading into the bottom of the sixth, Asia-Pacific's Rhea May Quilongquinlong walked and Rodaylyn Villanueva put down a picturesque bunt in no man's land right in front of the dish to set up runners on first and second with nobody out. Yet, Peterson locked in and struck out Joecel Mae Cabato looking for the first out. With runners still on first and second, Asia-Pacific's Ayeza Grace Arreglado crushed a shot to left, but Goodale stood squarely in the line of fire and fearlessly caught the rocket of the Filipino's bat. 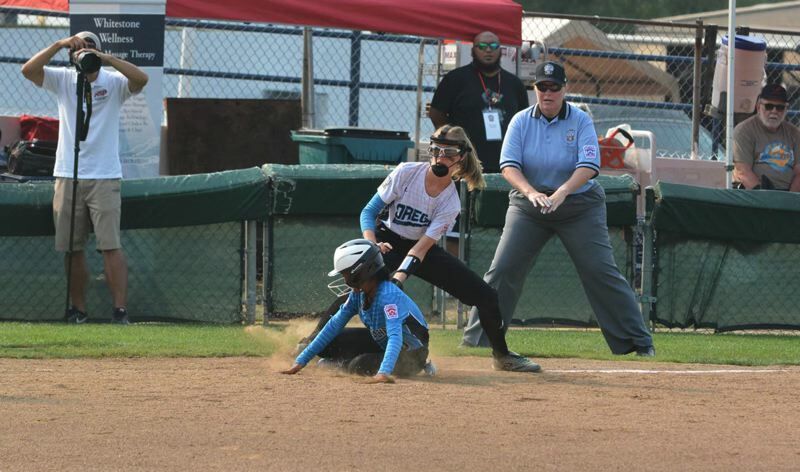 And with Asia-Pacific's runners on the move, the ODF shortstop calmly threw to second to nab the lead runner for the game-ending, incredibly clutch double play for ODF's first LLSWS pool play victory. Not only did Goodale make the snag, but she had the presence of mind to throw to Kendall Stout at second, who also had the wherewithal to cover the bag immediately at the sound of the bat for the third out. 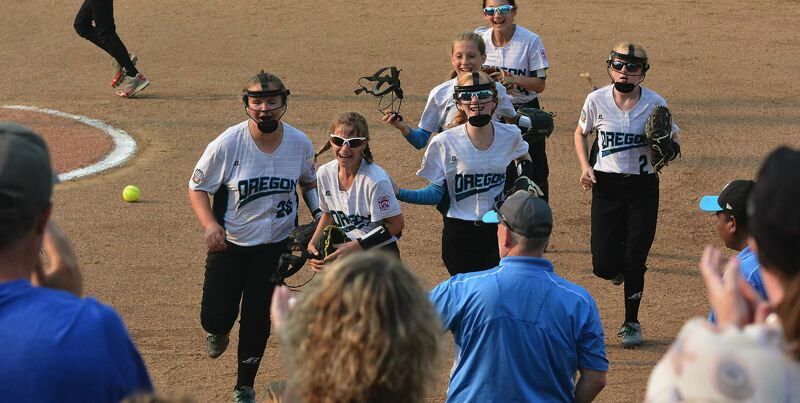 Goodale, Peterson and the rest of ODF's starters ran off the field to a standing ovation from their fans who saluted their defensive prowess and nerves of steel. "I actually wasn't thinking of anything, it just came so fast, I just put my glove out and the ball happened to land in it," Goodale said with a smile. 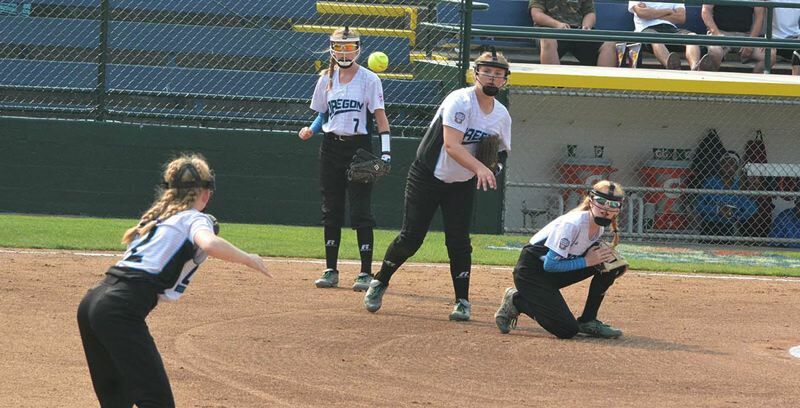 A team that hangs its hat on defense and prides itself on making plays that other teams might not be able to pull off, South Beaverton was nearly spotless backing up Peterson both in the outfield and infield. Asia-Pacific played a small ball style, preferring to bunt, slap bunt or make contact any way possible to put their speed into effect and get on base. 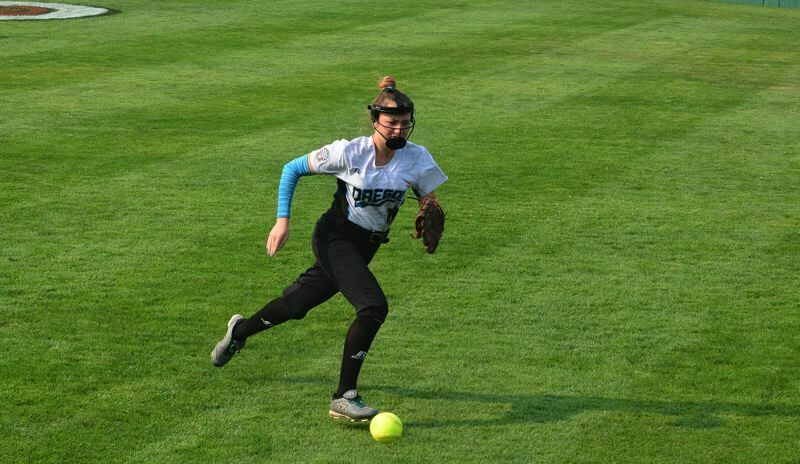 Yet, Arbow, Peterson, Goodale, Stout and first baseman Hailey Stutzman blanketed the infield dirt, making both the routine and spectacular plays with equal aplomb. "Our defense saved the game," Brenda Peterson said. Now 1-1 in pool play, ODF takes on Latin America on Friday and Central on Saturday. Latin America dropped both of its first two games by a combined 20-0. Arbow, Lizzy Bradford, Rachel Powers each had a base knock against Asia-Pacific. "Just to know we made it to the next day with a win is great," Arbow said. "We redeemed our loss and tightened everything we needed to do. Everybody feels great."